Best software testing tips and the resources for you to learn manual and automation testing. Manual testing tips, how to do software testing with practical tips. 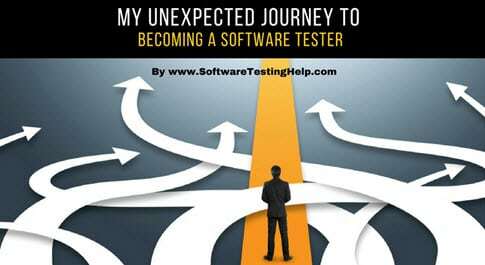 At the current epic of Information and Technology revolutionary growth, the testers commonly experience extensive consumption of test data in the software testing life cycle. The testers don’t only collect/maintain data from the existing sources, but also they generate huge volumes of test data to ensure their quality booming contribution in the delivery of the product for real-world use. Here is what I said, “Fortunately that has never happened to me and I love being a QA. When things get repetitive, I like to ‘mix things up’. I would document if execution bored me, I would execute if documentation got tedious, I would explore when everything else seemed bleak. Read moreHow Should Testers Handle Boredom? If not for pictures there were be no recordings of early history, passable knowledge, and evolution of language. Not to overly dramatize, but diagrams have their own special place even in a world with highly evolved and sophisticated forms of writing and expression. In the technology industry, our diagrams are dear to us. Here are some of the prominent ones that we testers come in close contact with often and how we use them. I have unlocked a pattern from my experience of hiring around hundred testers over a period of time and interviewing some thousand others. From all the discussions I had with fellow testers during interviews, I felt happy numerous times seeing the quality talent which we have in our community of testers. But let me also share the other side of the story, the patterns I am talking about. It makes me sad. This is a quick review of the book “Lessons Learned in Software Testing” in a different way. I hope you would like it. Check it now. It is a typical practice to include the list of known issues with the QA sign off an email. This is the time to revel in awful, creepy and gory stuff – STH brings you horror stories that are going to shake even the most seasoned testers out there. Are you ready? My journey as a Software Tester started a bit unexpectedly. I appeared for the initial interview rounds assuming it to be a Development opportunity. To be honest, like every other Computer Science graduate out there, I was a bit skeptical about going ahead with Testing. But finally, I decided to give it a try. Only with a hope that my curious nature will help me in this field. Before we go ahead with suggestions about how to create an effective test report, look into below reports and ask yourself, which one would you prefer when you are a decision maker or even a team member (any recipient of the report). Module Y: Home page and relevant tabs. “Well begun is half done” – Applies everywhere, even software testing. Often we see software testers very enthusiastic at the beginning of the project. We create testing documents such as Test Strategy, Test Plan or Test Cases eagerly and enthusiastically. Then we get to testing software with a BANG! This is only amplified by the interesting defects we find at the beginning of the project. Getting them resolved will only add to our accomplishment. We all have goals. We all want to do more and be more. There are many ways to be successfully, but the most important one is also the simplest – you have to get things done. In other words, be productive. By thinking about doing something, it does not get done. I wish it did, but it doesn’t. So how do we combat the slump that we find ourselves in from time to time and save our ideas from evaporating even before they take shape?